The foundation for all land administration projects, geodetic control ensures consistent and accurate spatial data collection. From high-accuracy GNSS infrastructure receivers to correction services, Trimble’s scalable advanced positioning solutions are used worldwide to provide uniform geodetic control for land administration projects. Achieving quality data requires a strong, consistent, and common geodetic foundation. Using the most advanced technology in the industry, Trimble’s GNSS infrastructure solutions provide network operators with the assurance of long-term operation and unsurpassed performance. These solutions provide the flexibility to evolve your GNSS infrastructure system as you grow without requiring you to change reference systems. In this way, collected data can be maintained properly and remain relevant, even as technology and your needs change. Fragmented control techniques often produce conflicting and inconsistent spatial data which then results in wasted time spent re-verifying the results. Continuously Operating Reference Stations (CORS) eliminate this problem by establishing a common reference frame for aligned control among all users. The repeatable, controlled performance of this advanced solution removes the disparities between user techniques by ensuring all users are using a common reference frame when collecting measurements. 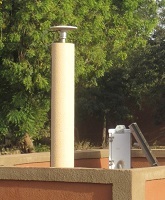 Implementation of a permanent reference station reduces errors prone to the use of a temporary base station. Eliminate the repetitive and complex (and often costly) processes associated with a temporary reference station by implementing a permanent reference station network solution. Fully scalable and customizable implementation of Trimble’s infrastructure solutions takes into account unique regional differences and evolving requirements. Numerous application possibilities include agriculture; road and bridge construction; mine, dam, and structure monitoring; deformation of engineering structures; analysis and scientific research; meteorological studies; maritime surveys and more to further increase your return on investment and gain support from other regional agencies. For more information, visit the Trimble Infrastructure Real-Time Networks webpage. 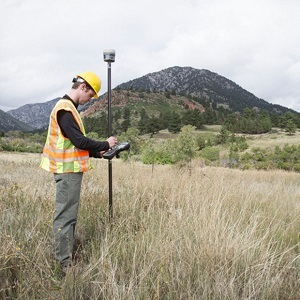 Carry out land administration projects, even in the most remote regions, using Trimble correction services. Trimble offers a number of correction service solutions, including OmniSTAR™ services, Trimble VRS Now™, and Trimble RTX which provide accurate positioning ranging from sub-meter accuracy to centimeter accuracy. Correction service options offer you flexibility to utilize either satellite or cellular/IP networks. Obtain the same high level accuracy without the cost or maintenance of owning/operating a base station. Built in redundancies ensure repeatability, connectivity, consistency and quality. High performance reference station networks ensure collected data meets accuracy requirements. Skip post-processing in the office. With satellite-delivered Trimble RTX services, even users in regions where there is limited or no access to local geodetic infrastructure or local VRS networks can obtain high accuracy positioning. To learn more about Trimble correction serviceds visit the Trimble Advanced Positioning website.